Most of us are unaware of the fact that as much as 85% of what is learnt is forgotten before it is put into practice. And why does that happen? Probably because learning does not stick. So how do you make sure your learners carry the knowledge home and put it into practice? Well, to answer such queries and enlighten us with many more, Jay Cross, the Guru of Informal Learning and Raptivity recently conducted a webinar on ‘Making Learning Stick’. In this session, Jay demonstrated some ways to increase knowledge retention through various memory recall and retention techniques. In today’s blog, we will focus on some of these. I will summarize some techniques that Jay stressed upon in the webinar for better recall and reinforcement. In the webinar, when Jay said, ‘If we don’t use it, we loose it’, I felt it was a rather ironic statement. What can I lose if I don’t use it at all? But Jay was referring to learning, learning of all kinds – the conventional classroom learning, the modernized eLearning or even the impactful social learning. And when I pondered on his statement with learning in mind, I realized it is quite true. It’s important to put whatever you learn to application else you tend to lose it quickly. Hermann Ebbinghaus’s Forgetting Curve says that learning is half gone after one hour, another 10% after one day and another 14% after one month, unless reinforced. Winston Churchill once mentioned, ‘I love to learn but I hate to be taught’, he probably did not know this concept would be termed as ‘Pull Learning’. How much do we all hate to be forcibly taught! Wouldn’t it have been better if our learning was completely need based and just enough, neither too less, not too much. And even better, if it was more experiential and exploratory. Reinforcement would happen naturally when one is guided by curiosity. Unfortunately, our schools are not there yet, they focus on pushing all the information to the learner which often results in low grasping and negligible application. A picture is worth a thousand words. This adage holds true all the while. It is surprising how a picture can convey the meaning of something so effortlessly and beautifully. To make your learners recall and retain concepts, use a lot of pictures when you teach. And learners, it’s so simple for you as well. See images, draw mind maps, create memory palaces and you will see how it does wonders to your memory. 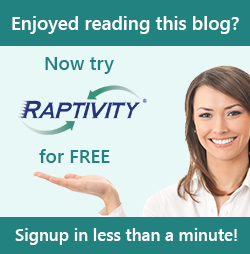 Raptivity, your favourite interactivity tool, provides you with a bundle of interactions that help your learners recall and retain better through the above mentioned techniques. To name a few, use Let Me Try and Drag-Drop-Sort for effective reinforcement through application and feedback. These interactions help you focus on ‘What should I remember?’, ‘Do I remember?’ and ‘Did I remember it right?’ For the Pull to work, use something like a Museum where your learners explores everything on their own and are not forced to follow a path or guideline for learning. For visual stimulation, nothing serves your purpose better than a Picture Show or Map with Images. Raptivity, as an eLearning tool, will always keep providing you with such solutions that not only help you learn better, but at the same time; retain the learning. In the series of blogs that will follow in the coming weeks, we will explain and summarize some more memory retention techniques mentioned by Jay Cross. If you have any feedback and comments on the content mentioned above, or if you wish to share any other interesting recall techniques with us, do share your responses through comments below.